Former Arsenal and Manchester United striker has stated that Marcus Rashford is a special player and that he has the potential to become a world-class player. The player made his debut for the Red Devils in February and scored twice on his Premier League and Europa League debut. He is one of the rare success of the Louis van Gaal era and has gone on to establish himself as an important member of the team. Robin Van Persie says that he would have still been a Manchester United player had Sir Alex Ferguson remained as the club’s manager. Van Persie was not informed of Ferguson’s decision to retire at the end of the campaign if United won the title. The Scot step down from his role after more than 25 years in charge of the club. He is regarded as one of the greatest managers in world football, but his last league title was won courtesy of Van Persie. The Dutchman came as a £ 24 million signing from Arsenal and his 26 goals in 38 league matches were a major factor in United’s success. Galatasaray are set to trade tackles with the Black Eagles – Besiktas – at their new home this weekend. 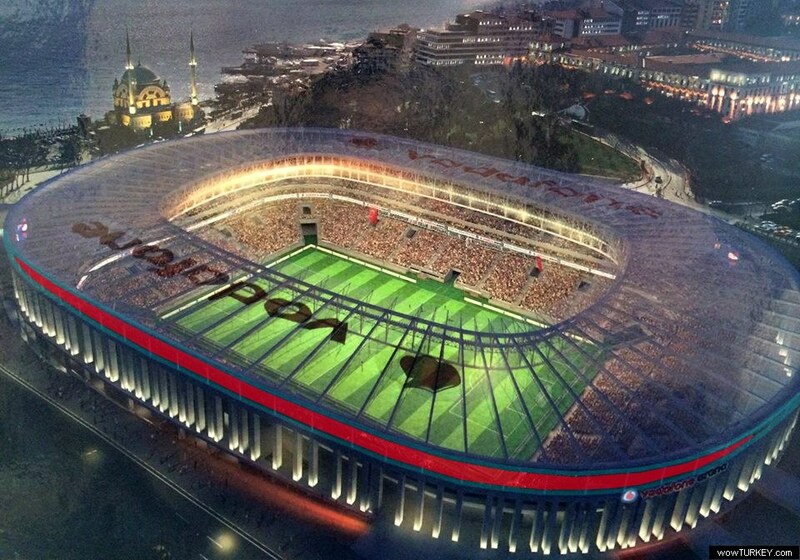 The game is the first Istanbul derby in the new home of Besiktas – the Vodafone Arena. The Spor Toto Super League is in its fifth week, and two of the most successful teams in history would go head to head. Besiktas enter in the game beaming with confidence after their 2-0 win at the Akhisar Manisa stadium last week. Former Arsenal hit-man Robin van Persie says that his kids will be among top factors to consider if he is to make a return to the Premier League. The ‘flying’ Dutchman spent more than a decade in England playing for Arsenal before switching to Manchester United. He established his name as one of the most outstanding goal scorers in the Premier League before his exit. Stoke City manager Mark Hughes has dropped a hint that his team might be interested in signing former Arsenal and Manchester United striker. He said that his team is still looking to sign a quality striker and that they are still considering different options. Robin Van Persie is regarded as one of the finest strikers to have graced English football in the last decade. However, his fall from grace has been incredibly dramatic in the last couple of years. Only in 2013, he helped Manchester United win the league title in what turned out to be Sir Alex Ferguson’s last season in management. It also turned out to be the only time Van Persie won the Premier League title despite having been in the division for almost a decade. Since then, he has been performing very poorly and this led to his move to Fenerbahce last summer. There are media reports that former Arsenal and Manchester United player may make a return to the Premier League in the summer. It is believed that West Ham and Crystal Palace might be interested in signing the player. Robin van Persie was playing for Fenerbahce, but the Turkish club stated last week that the Dutch player’s contract would be terminated in the summer. However, the player is currently on a high wage, and this can be a major problem for some team. West Ham are reported to be looking for a quality striker in order to help Dimitri Payet and Robin van Persie might be an interesting prospect. Robin van Persie grabbed a brace against Genclerbirligi in a 2-1 victory played over the weekend. The striker has scored in every game in the last five matches save one in the Turkish Super Ligue. The former Arsenal striker moved to the Super Lig from Manchester United in the summer, signing a lucrative three-year contract to end his 11-year stint in the English top flight. Louis van Gaal’s sack at Manchester United as manager didn’t come as a surprise to many as it had been widely speculated in light of recent performance at the club which culminated in failing to get UEFA Champions league qualification. Read more about What will happen to Robin van Persie?